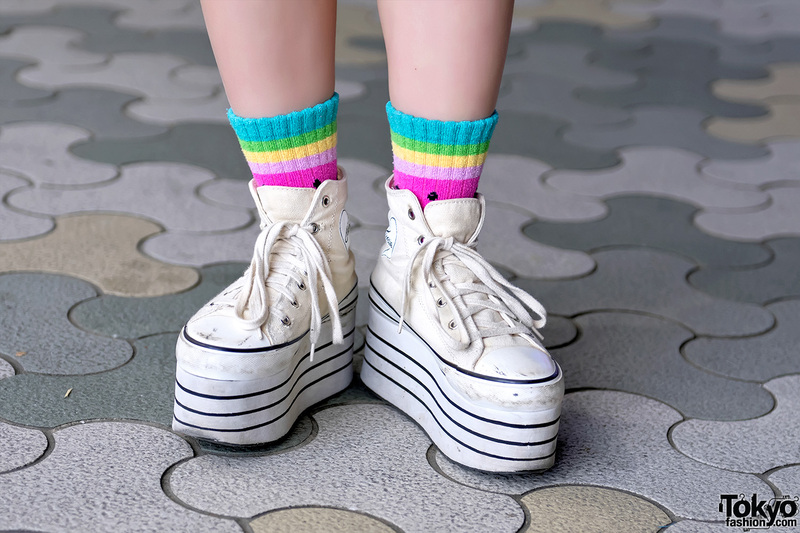 Karin is an 18-year-old dancer and member of the famous Japanese group Tempura Kidz. 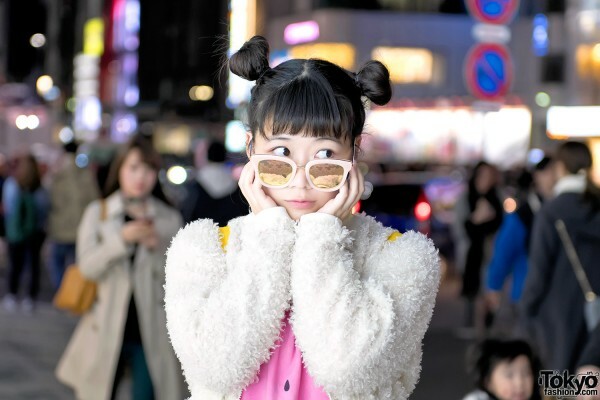 We ran into Karin in front of LaForet Harajuku when she was on her way to the Kyary Pamyu Pamyu Art Exhibtion at LaForet Harajuku. 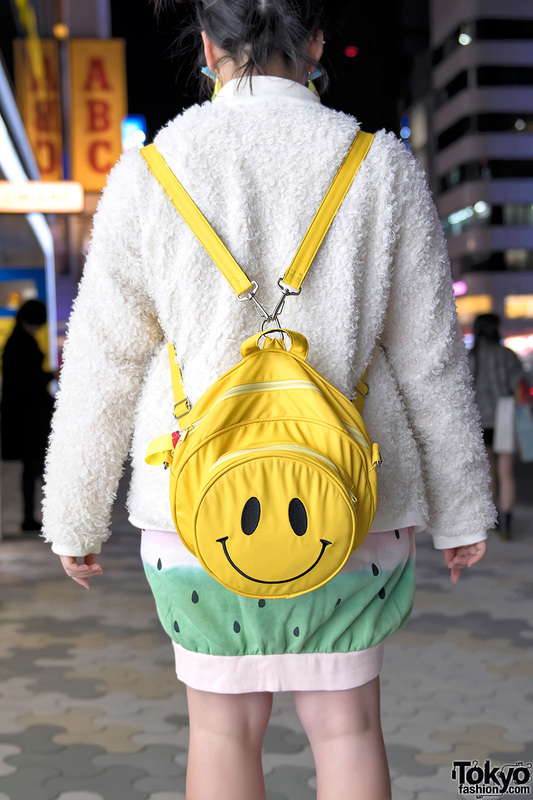 Karin’s look features a resale fuzzy sweater over a watermelon print dress from the kawaii Harajuku fashion brand Candy Stripper, watermelon print socks, a cute Candy Stripper smiley face backpack, platform Converse sneakers, and accessories from Vani Tokyo. 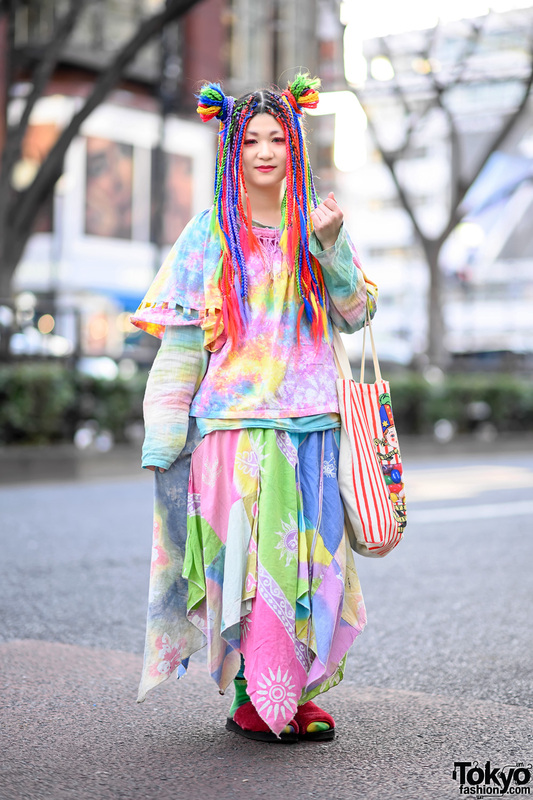 Karin’s favorite shop is Spiral Harajuku and she likes the music of Judy & Mary. Find Karin on Instagram or Twitter for more Japanese fashion and dance!